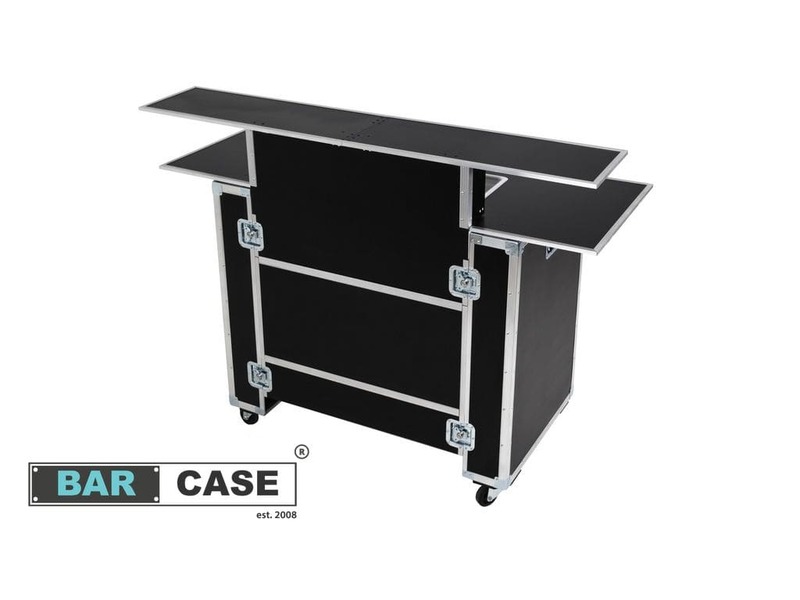 MOBILE VIP BAR is a professional portable bar, equipped with extended worktop width of 65 cm, extended serving counter width of 30 cm, and an additional polycarbonate container for crushed ice. This model was enriched also with 4 professional locking casters which allow unrestricted movement from place to place. Mobile VIP Bar was designed by experienced bartenders thanks to whom working with the bar is much more comfortable. Thanks to its extended size, Mobile VIP Bar is ideal for handling all kinds of bartending events. 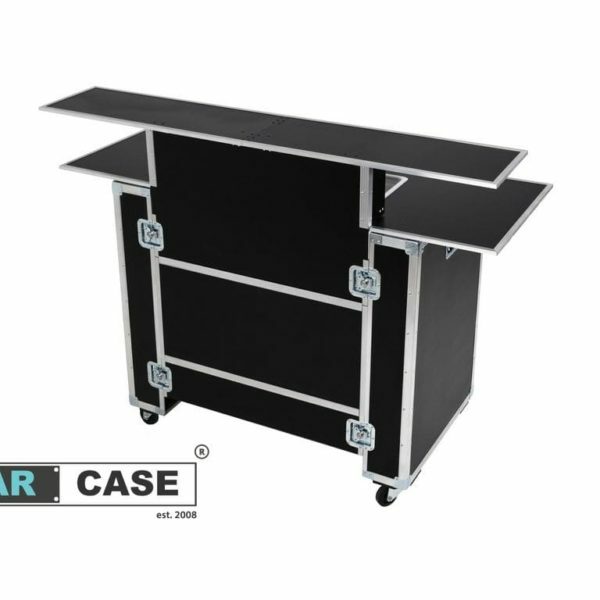 Mobile VIP Bar is made from high quality material, coated with a special phenolic coating which makes them resistant to water and other liquids. All the materials and accessories that were used in the production of bars are of the highest quality and come from reputable and internationally recognized manufacturers. Its main distinguishing features are high aesthetics, functionality, durability, stability and low weight. When folded up, it has the form of the aesthetic transport box. The bar also includes polycarbonate containers for fruits, ice cubes, crushed ice, and a „speed rack” storing 8-10 bottles. Looks amazing, high quality. Sent quickly and arrived without damages. I recommend that product!